Nike may not be releasing All-Star sneakers this weekend, but there's still plenty of gems hitting the court in New Orleans. During All-Star practice earlier today, LeBron James was spotted wearing his new signature shoe, the Nike LeBron 14, in a very familiar colorway. The mix of black, white and teal, along with subtle red accents, is a callback to the "Red Carpet" Nike LeBron 7, one of the most popular sneakers in James' signature line. 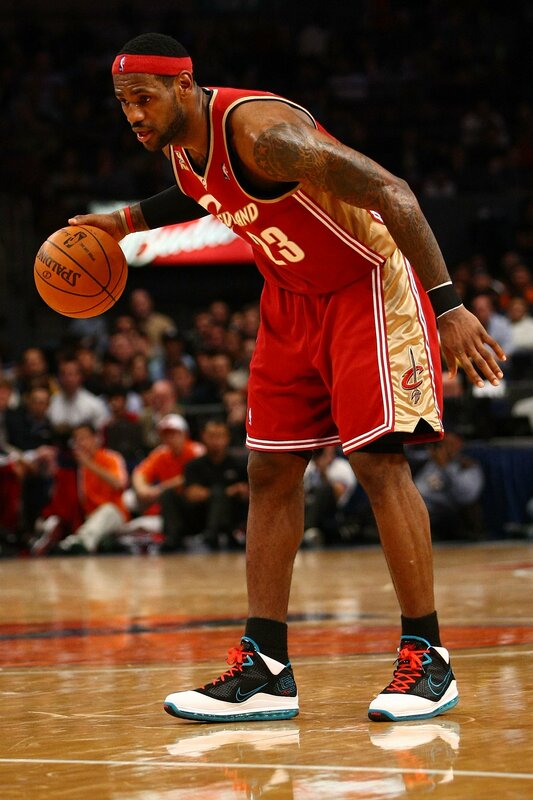 James debuted the shoe against the New York Knicks at Madison Square Garden in Nov. 2009. As of now, there's no word of a release for the "Red Carpet" 14, but we'll keep you updated here at Sole Collector.